The Raleigh Public Relations Society had a great 2018 thanks to the commitment of all of our members. As we begin the New Year, we want to remind members and non-members alike of all the benefits the Raleigh Public Relations Society has to offer. 1. Monthly luncheons. Though schedules can be a bit hectic, our monthly luncheons are where the magic happens. We bring the perfect blend of networking, learning, a bit of fun and delicious food all to one place. Our speakers are always presenting new and innovative ideas in the industry. Pro tip: Did you know if you attend just eight luncheons, your membership pays for itself and then some? 2019 Announcement: New Luncheon Location! The RPRS Board LOVES to eat. Our board meetings are full-out snack fests. Because of that, picking a luncheon location with extremely delicious food is a top priority of ours. (No seriously, we have intense discussions about it.) We’re excited to announce a new location for our 2019 luncheons – Tobacco Road in downtown Raleigh. The food is amazing, we’ve got a sweet set-up in an upstairs private room and parking in the deck behind the restaurant is validated. See for yourself at our next luncheon on Tuesday, Feb. 26. Jesse Lipson, founder of Real Magic/LEVITATE will join us to talk about a new category in marketing software that his team has been working on in his latest company, something he calls “one-to-one marketing.” Register here. 2. Seasonal networking socials. 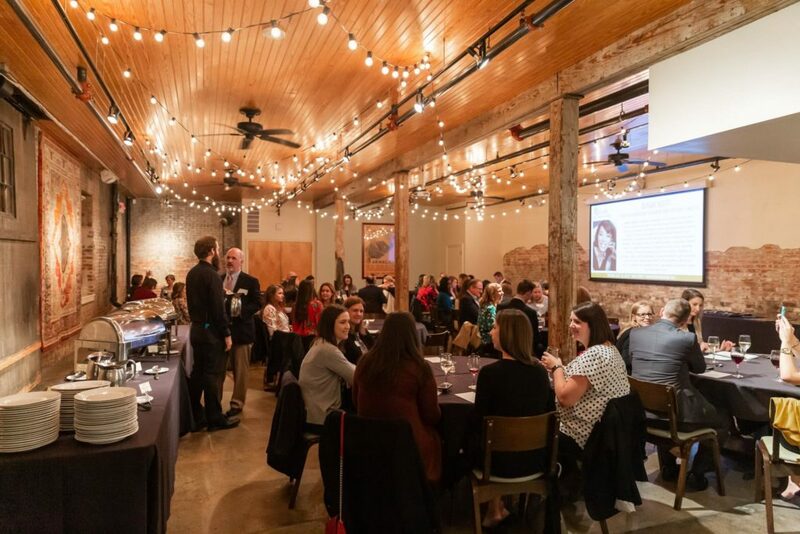 Whether it’s our Spring Networking Social, our Holiday Social, or even an impromptu Summer Unconference – these events are packed with opportunities to mingle with like-minded professionals in the Triangle. They are free to attend, and we often fill your belly as thanks for joining us. 3. Sir Walter Raleigh Awards. Looking for a way to get the hard work of your organization noticed? Every year we host our acclaimed competition that welcomes entries from across North Carolina to recognize excellence in communication. Members of RPRS receive a reduced entry fee and discounted tickets to the banquet. Our banquet always features a prominent speaker and incredible food and drinks. Bring your clients and show off all of your hard work. You deserve it! Like we said, it’s thanks to the commitment of our members that this organization has grown to be so successful. Below are just two of our members who really know how to maximize their membership. One of our newest members, Rebecca Sefter, is a recent graduate taking on the industry in full-force. She is consistently making it out to our events and uses RPRS as a tool to connect and engage with professionals. How has her experience been so far? Former board officer Evie Hornak has been a member of RPRS for 12 years and still dedicates her time to come out to all our events, including being a speaker at a few. What’s kept Evie around? It’s clear membership in RPRS more than pays for itself in networking opportunities, awards, socials and luncheons. We’ve got big plans for 2019 to add even more value to your membership with a planned private Facebook group you can tap for advice, joint events with other communications-related groups in the Triangle, and additional resources for those on the job search. We’d love to have you join us – and bring a friend! This is such a great recap of all the ways to get the most out of your RPRS membership, Olivia. Thanks for sharing Rebecca and Evie’s tips, too!